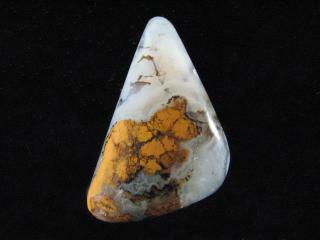 Our precious stone designer cabochons are professionally crafted for wire wrapping and jewelry making. Interesting features are highlighted to enhance your jewelry. Enjoy Shopping! This rustic western looking Brecciated Jasper Designer Cabochon is from Oregon and features soft pastel tan, brown and green colors. Measurements are 7×33 mm. 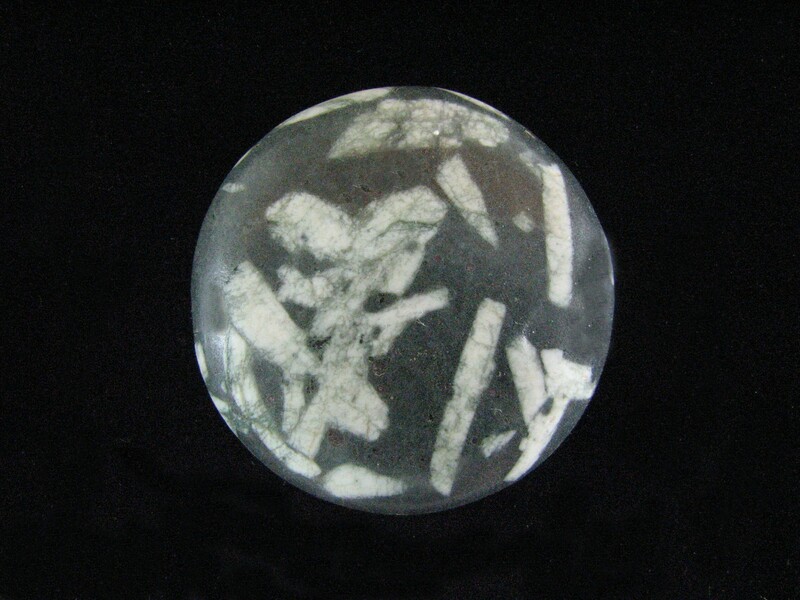 Although the name would lead one to think that this Chinese Writing Rock Designer Cabochon is from the East, this rock was actually found in Mexico and was named for the oriental pattern it displays. Measurements are 7 x 36 mm. 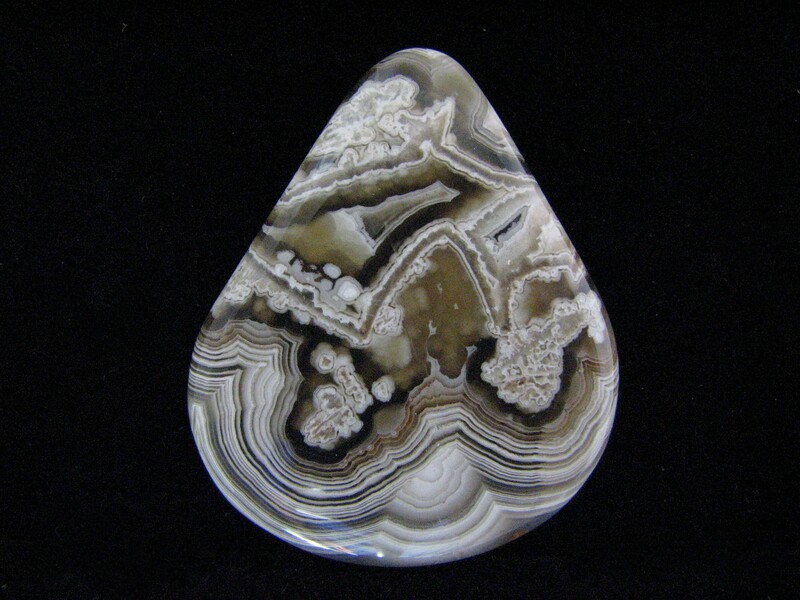 A spectacular stone! 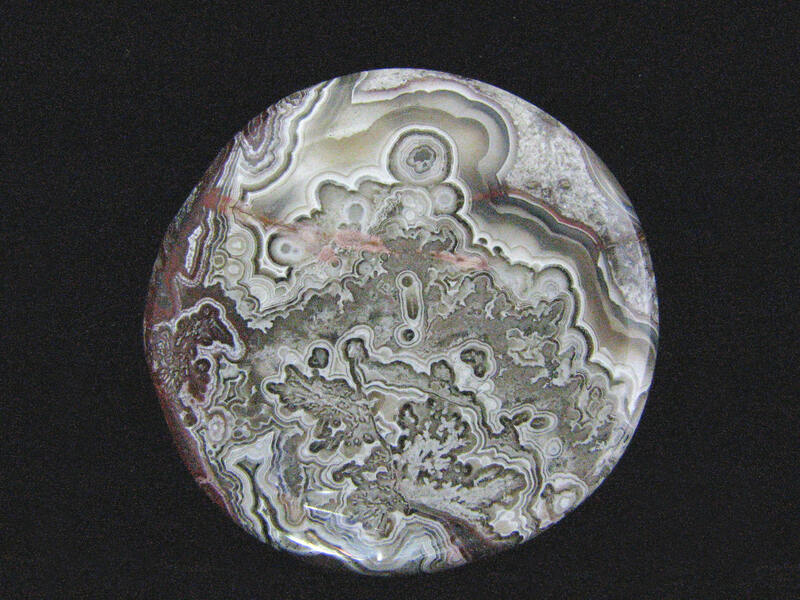 This Crazy Lace Agate Designer Cabochon is extremely detailed and intricate. It was found in Mexico and measures 4 x 30 mm. This is a classic Crazy Lace Designer Cabochon featuring intricate banding, floral displays, and intriguing colors. It’s a beautiful piece that will complement any jewelry design. Measurements are 5 x 29 x 35 mm. 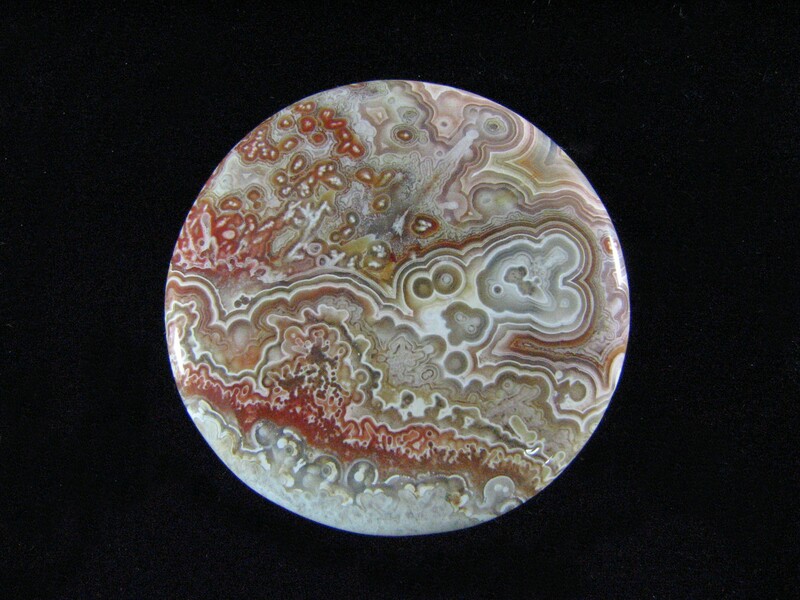 This regal looking Crazy Lace Designer Cabochon features highly intricate patterns that only nature can produce. It’s silver, gray, and white with some pink and red. It’s a work of art! Measurements are 5 x 36mm. These are assorted Dichroic Glass and Shell Designer Cabochons. The price is per cab. Please click “CONTACT US” and send an email if you need the exact dimensions or a more detailed description of the cabochon you like. After completing your purchase, please email us the number of your cabochon and it will be shipped. 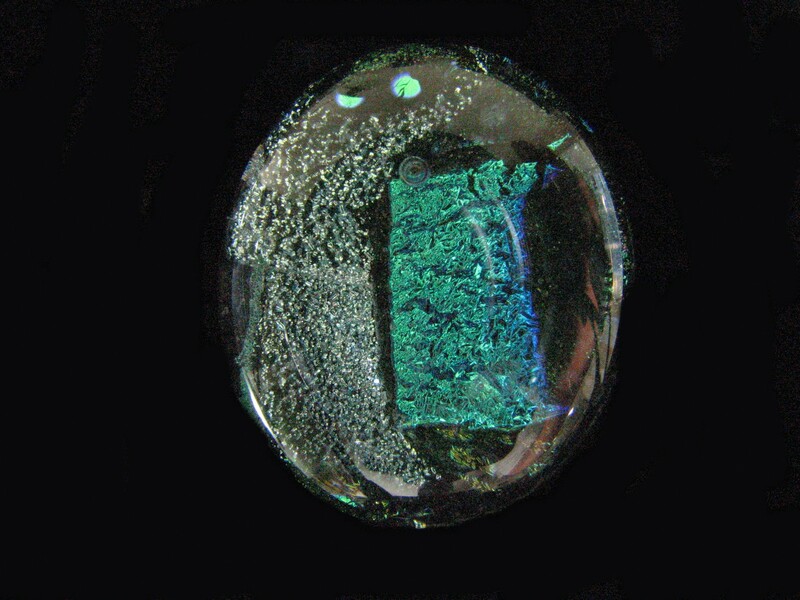 This beautiful Dichroic Glass Designer Cabochon has sparkling micro layers of opal like olive and teal green color. One of the fused layers is an eye catching sparkling blue and green rectangle. It measures 25x29mm. This is a great cabochon for casual fashion jewelry. 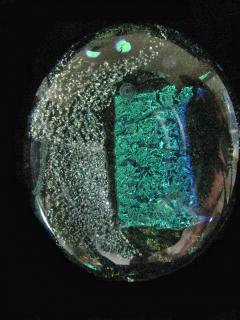 This dichroic glass cabochon was made in our work shop. This beautiful Dichroic Glass Designer Cabochon has sparkling micro layers of opal like pink and teal green color. It measures 5 x 20 x 35 mm. 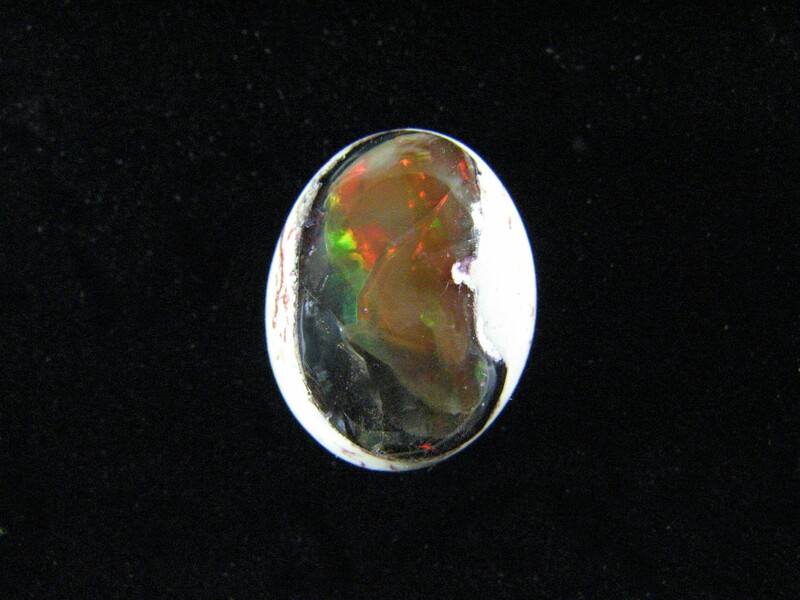 This is a great cabochon for casual fashion jewelry. 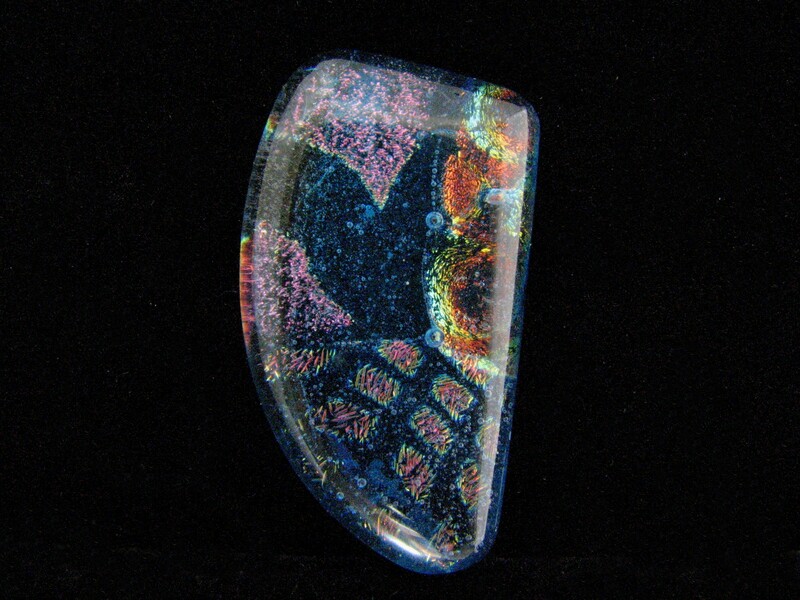 This dichroic glass cabochon was made in our work shop. 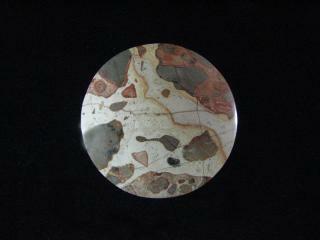 These are assorted 40x50mm (+/-) Extra Large Designer Cabochons. The price is per cab. Please click “CONTACT US” and send an email if you need the exact dimensions or a more detailed description of the cabochon you like. After completing your purchase, please email us the number of your cabochon and it will be shipped. These are assorted 40mm to 50mm (+/-) Extra Large Designer Cabochons. The price is per cab. Please click “CONTACT US” and send an email if you need the exact dimensions or a more detailed description of the cabochon you like. After completing your purchase, please email us the number of your cabochon and it will be shipped. This small Fire Opal Designer Cabochon from Mexico is colorful and would make a nice necklace. Measurements are 6 x 11 x 12 mm. This Flower Garden Agate Designer Cabochon was found in San Carlos, Mexico. It is cut in a nice triangle shape and has a mustard color. Measurements are 6 x 20 x 33 mm.